Jill moved back to beautiful Maui in 2018 and is so excited to share her love of herbal medicine making, nutritious food and yoga. 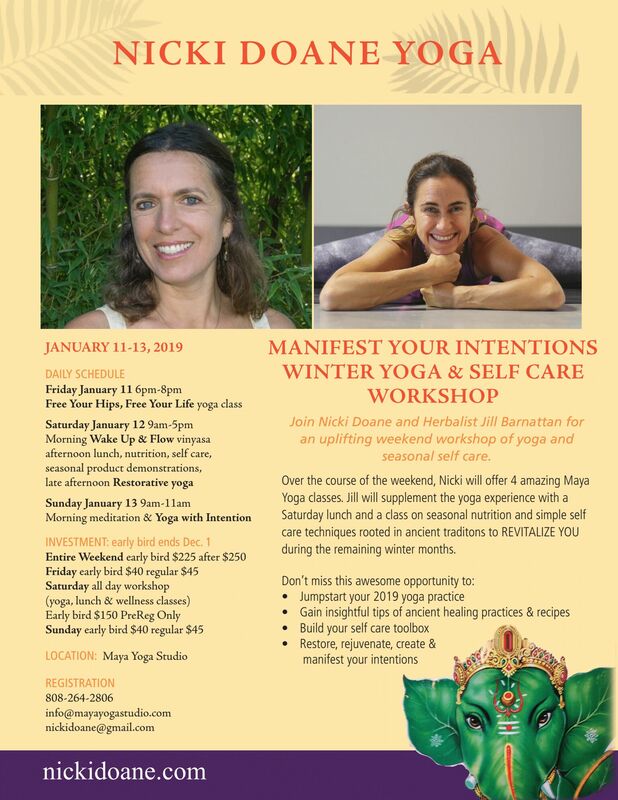 Come join in the fun and jump start your 2019 intentions and manifestations with a weekend self care workshop. Early Bird pricing available until December 1!